I’m always thrilled to share new accessible tourism finds with my readers; however there’s also a certain satisfaction that comes from revisiting past sites, to see if access has improved. Such is the case with the Mc Allen, Texas area, which I first reported on in 2005. At that time several World Birding Center (WBC) sites had just opened, and most of them had at least one wheelchair-accessible trail. I’m happy to report that in the past 10 years, not only have more WBC sites been added to the roster, but the access is above-and-beyond what I ever expected. 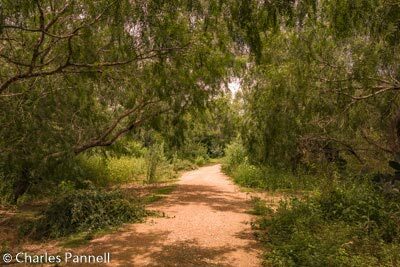 Additionally, with several more projects in the works, this south Texas birders paradise is the perfect choice for wheelers and slow walkers who want to hit the trail and enjoy Mother Nature’s handiwork. 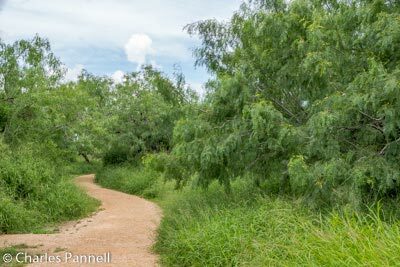 At the top of my list of new WBC sites is the Harlingen Thicket, which is located 35 miles east of McAllen. Technically it’s the western 40 acres of the Harlingen Arroyo Colorado WBC site (956-427-8873, www.theworldbirdingcenter.com/harlingen.html), but because of its location and habitat it deserves a separate mention here. Down the road in Brownsville, Resaca de la Palma State Park (956-350-2920, www.theworldbirdingcenter.com/Resaca.html) also offers some nice accessible trails. This 1,200-acre semi tropical retreat, which is carved out by the curves of the Rio Grande, features plenty of accessible parking with level access to the Visitor Center. Out back the accessible Ebony Trail offers a hard-packed surface with boardwalk access over the wetlands areas. It makes for a nice half-mile round-trip walk, with interpretive plaques and an accessible viewing platform along the way. Other accessible trails include the third-mile Mexican Olive Trail and the .05-mile Kiskadee Trail. Additionally, the nearly three-mile paved park road is wide, level and accessible; and since private vehicles are prohibited, it’s a good choice for wheelchair-users and slow walkers. The last new WBC addition has a bit of a twist to it — it’s on the grounds of an old pumphouse, hence the name, Old Hidalgo Pumphouse (956-843-8686, www.theworldbirdingcenter.com/Hidalgo.html). 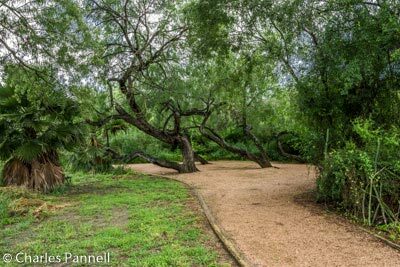 Located 10 miles south of McAllen, this site features two components; a museum inside the former pumphouse, and a collection of accessible trails on the surrounding grounds. 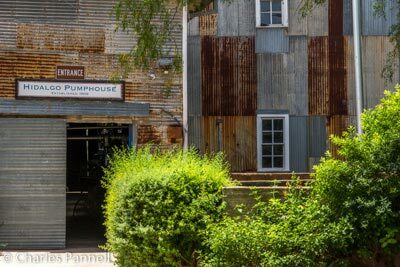 There’s accessible parking near the pumphouse with level access to the museum, with accessible restrooms inside. The self-guided tour of the old pumphouse features ramp and cement walkway access to most areas. 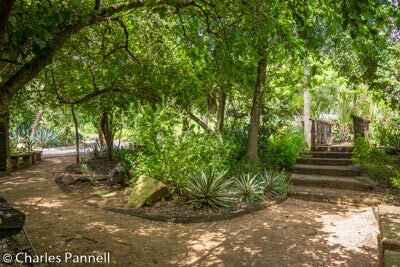 Outside in Pumphouse Park, paved walkways lead through the hummingbird garden over to the covered picnic shelter. Across the street there is barrier-free access to the channel observation deck and an accessible path down to the canoe launch below. It’s a small site, but definitely worth a stop, and it’s a pleasant place to take a lunch break. The WBC at Estero Llano Grande State Park (956-565-3919, www.theworldbirdingcenter.com/estero.html), located 20 miles east of McAllen in Weslaco, was still under construction on my last visit. Dirt was piled high in what would become the parking lot, and the main viewing deck had just been completed. Other than that it was pretty sparse, but today it’s another story. There’s plenty of accessible parking out front, with level access down a paved trail to the Visitor Center. Accessible restrooms have been added behind the barrier-free viewing deck, next to the Visitor Center. By far the biggest change to this site is the addition of several accessible trails, which makes this 230-acre refuge accessible to everyone. 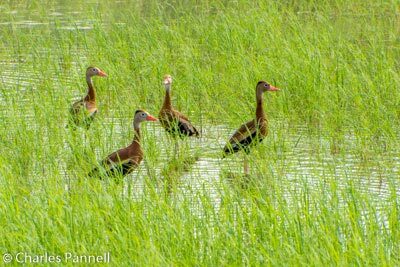 It’s the ideal place to spot wood storks, roseate spoonbills and hundreds of waders and shorebirds. For a good overview, make a right on the first trail past the Visitor Center, and follow the sign past Ibis Pond on Wader’s Trail. 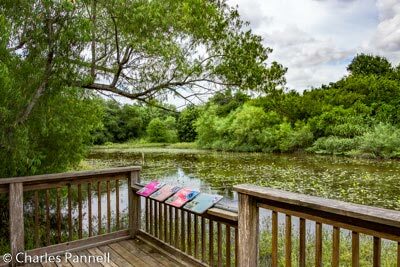 The hard-packed trail gives way to a boardwalk over the marsh as it passes Avocet Pond, then transitions back into a hard-packed dirt trail, with an accessible pavilion near the end. From there, follow the signs to the hard-packed dirt Spoonbill Trail, which features a boardwalk over Curlew Pond, and then reconnects to the Wader’s Trail. Once you reach the bridge, you can either take one of the two Camino de Aves loop trails on the right, or turn left and head back to the Visitor Center. Alternatively, you can take the Wader’s Trail, the Spoonbill Trail and the Camino de Aves loops in their entirety, as they are all wheelchair-accessible. Quinta Mazatlan (956-681-3370, www.theworldbirdingcenter.com/Quinta.html) was also in its infancy on my last visit. 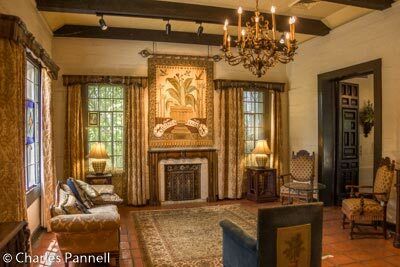 Located in the heart of McAllen, this 1930s country estate has had a variety of incarnations — including a coffee house in the 1960s — before it became a WBC site. There is ramp access to the adobe house which is filled with historic furnishings, exhibits and memorabilia; however the biggest changes at this site were on the outside. Today mature landscaping and accessible trails dotted with bird feeders wind through the hummingbird garden, butterfly garden and wooded meadows. Although there are a few steps along the way, there are also accessible paths around these obstacles. All in all it’s very nicely done access-wise, with hard-packed dirt trails and plenty of places to take a break along the way. As an added bonus, the trails are almost entirely shaded by the tree canopy, so it’s quite pleasant, even on warm days. 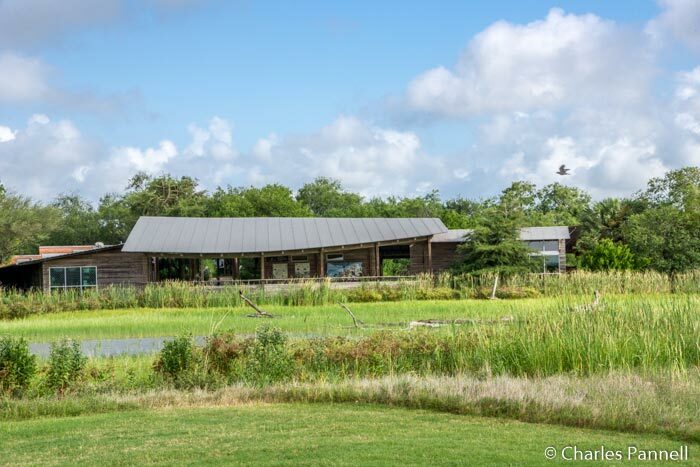 Although there’s certainly no shortage of accessible trails and birding sites in the area, there are also a number of up-and-comers; and in that respect the Mc Allen Nature Center (956-681-3333, www.facebook.com/McAllenNatureCenter?fref=ts) is definitely worth a mention. Although it’s not a WBC site, this 30-acre garden features almost a mile of trails, all are which wheelchair-accessible. Currently the center is operated by a large volunteer contingent, but under the direction of a very enthusiastic Tiffany Kersten it seems poised to grow. 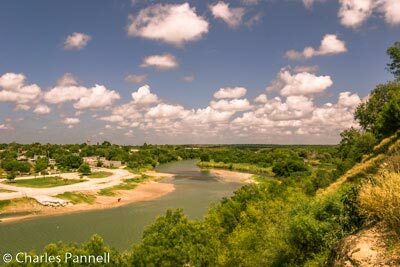 It also seems to be one of McAllen’s best kept secrets, so don’t be surprised if you have the place to yourself. Future plans call for the addition of a pavilion, but for now don’t miss the butterfly garden and the cactus garden. Hugh Ramsey Nature Park is also experiencing a growth spurt. This 55-acre parcel of ebony woodlands makes up the east half of the Harlingen Arroyo Colorado WBC site (956-427-8873, www.theworldbirdingcenter.com/harlingen.html). Although there’s currently a lot of construction going on at this site, there’s still level access to the Retama Trail from the accessible parking area. This 5/16-mile hard-packed dirt trail winds past Lily Pond and connects with the equally accessible Indigo Trail, which loops back to the parking area. Along the way you’ll spot lots of dragonflies and rabbits, and it’s also a popular pit stop for colorful neo-tropical migrants. Construction of a Visitor Center is currently underway, and when complete it will include a gift shop, observation tower, meeting rooms and enclosed viewing area. Currently there is accessible parking near City Hall, with level access over to the WBC Visitor Center. Although there are steps inside, a wheelchair lift is also available. 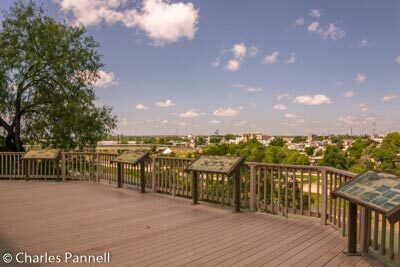 Don’t miss the Roma Bluffs Interpretive Overlook, which is just a short walk away. From the Visitor Center walk towards the river, turn right on Portschellar, then walk a half-block up to the overlook. It’s a nice level walk, and the large deck features barrier-free access and offers a great view of the river, the woodlands below, and the neighboring Mexican town of Miguel Aleman. Because of its central location between WBC sites, McAllen makes a good home base for a south Texas visit. 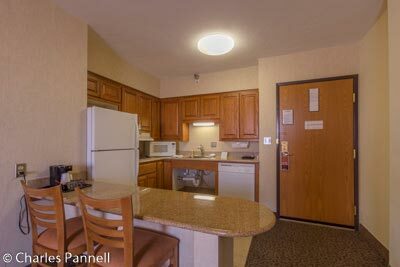 The Drury Suites McAllen (956-682-3222, www.druryhotels.com) is a good lodging choice for wheelers and slow walkers, as it has excellent access and a lot of added features. 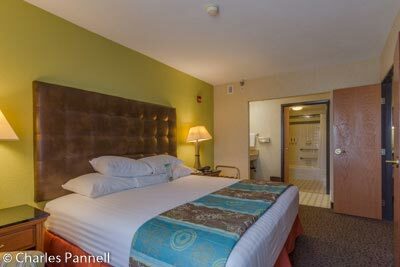 There’s plenty of accessible parking in front, level access to lobby and elevator access up to accessible room 206. This spacious suite features wide doorways and good pathway access through the living area, kitchenette, bedroom and bathroom. The living room is furnished with a 13-inch high king-size sleeper sofa, which has wheelchair access on one side when it’s open. Other furnishings include a coffee table, desk, and a chest of drawers. The adjacent kitchen includes a roll-under sink and a lowered eating bar. It’s also equipped with a refrigerator, a two-burner cook top, a dishwasher and a microwave. Round it out with a more than ample selection of dishes, pots, pans and utensils, and you’re good to go. 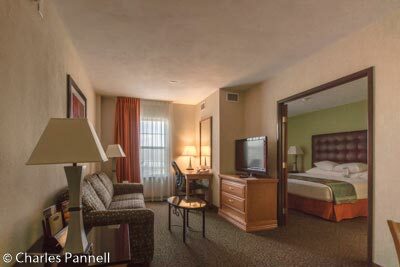 There is a large double door into the bedroom, which is furnished with a 24-inch high king-size bed with wheelchair access on both sides. 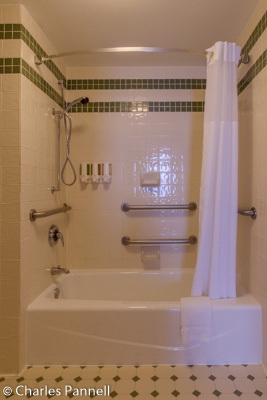 There is level access to the adjacent bathroom, which includes a full five-foot turning radius and is outfitted with a tub/shower combination with a hand-held showerhead and grab bars. 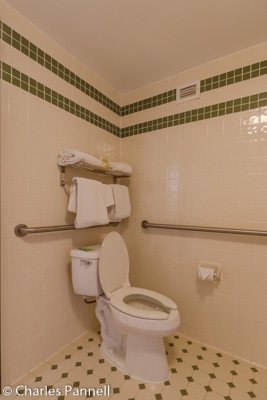 The toilet grab bars are located on the back and left walls (as seated) and a roll-under sink is located just outside the bathroom. 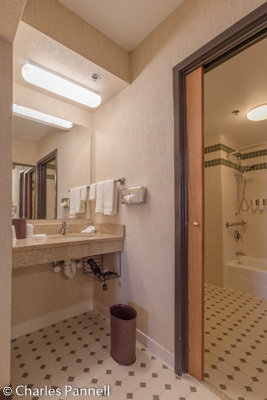 A portable shower chair is available upon request; and if you’d prefer a roll-in shower, they also have accessible rooms equipped with those. Although the access is top-drawer, it’s those little extras that make this my favorite McAllen property. For starters there’s popcorn available every afternoon in the lobby, and a hot breakfast buffet in the mornings. But my all time favorite feature is the substantial happy hour, which includes tasty snacks and a variety of beer, wine and mixed drink offerings. And when I say substantial, I mean it can pass for dinner. Add in some excellent service by a very attentive staff and you have everything you need at this nicely accessible south Texas property.